What if creating a greater world began with your choice to live, love and lead, with deeper presence, strategic awareness and courageous kindness? The change(s) we wish to see in the world become attainable and practical when we look within and pragmatically take responsibility for our choices. So, are you feeling fantastic or frustrated with your days? Are you living your life based on other people’s paths, projections or expectations? What if instead of showing up with a rebellion, resistance, reaction or ‘whatever’ attitude you consciously chose to create your life, your entire work-life-love spectrum as a space of possibility, achievement and fulfillment? 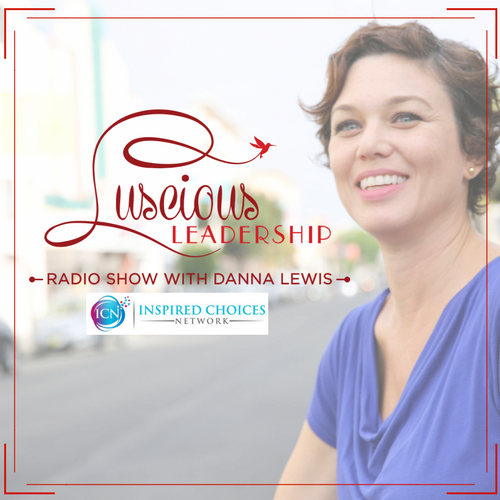 Join Danna Lewis, along with brilliant thought leaders, light workers and architects of change who are excited to educate, inform and empower you where the art of pragmatic energy and inspired action meet. Be inspired and be an invitation to create something greater from your home to the world with everyone in your sphere of influence. 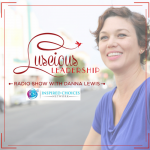 Danna Lewis is an Inspirational Speaker, Best-Selling Author, Consultant, Energy Healer and Success Coach for luscious leaders cultivating greatness from the bedroom to the boardroom. She has 20+ years of business experience, trainings and certifications in consciousness and empowerment coaching. Business highlights include building high-performance work teams of happy, empowered employees on Wall Street; managing 400 million dollar bank accounts for the world’s largest financial institution; creating multi-million dollar revenue streams in zero-sum revenue operation departments; and directing brand management and social media architecture for a luxury exercise franchise tripling in size during her tenure. She is trained in the Access Consciousness® and Joy of Business® modalities. Her Luscious Leadership platform offers a variety of speaking topics, classes, workshops and programs to provide pragmatic tools of mindfulness and conscious creation. Everything is targeted to gain higher levels of clarity; have creative control of your day, greatly reduce stress, trauma and drama; increase your bottom line; and have more joyful connection and contribution within the work life continuum. This is the creative edge of transformational work in exceeding desired results. Her clients appreciate the kindness, confidence, abundance of powerful information, and joyful creative energy she brings to the work. Danna is co-author in “The Energy of Receiving” and “The Energy of Creativity”. She is currently working on a third collaborative book about conscious relationships and her own conscious leadership book. Her business career and company were preceded by a childhood wrought with domestic violence. Her tenacity and awareness of much greater possibilities have fueled her pioneering of learning about consciousness, exploring her hands-on healing capacities and creating a different reality for herself. She knows it is possible to thrive in all spaces of our lives and that by eliminating the artificial walls of limitation more contribution and receiving can exist. That levity, gratitude and kindness can be incredibly potent forces of change. That choice and question always provide the possibilities to out-create anything. January 2020- What’s It Like To Be You Right Now? Who Thought It, Who Bought It?